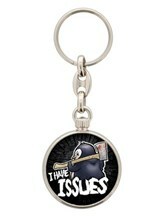 How could you not love this little chap! 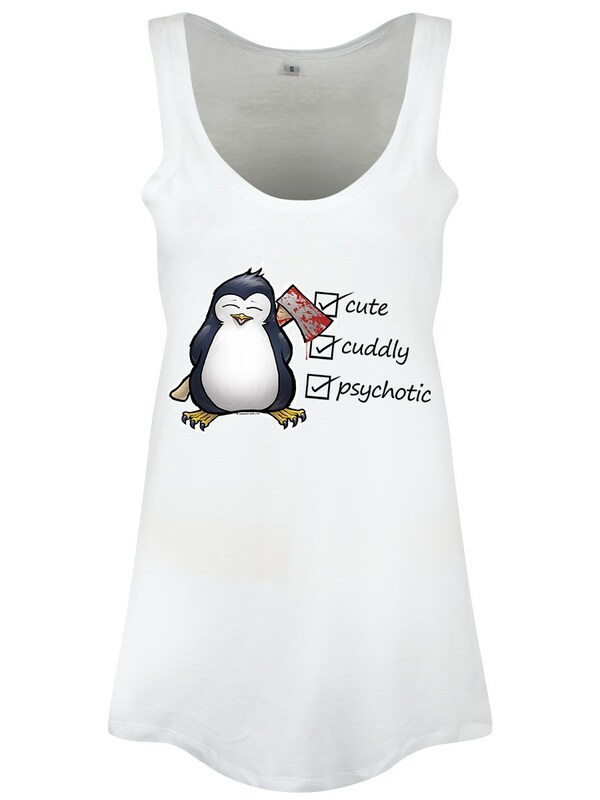 ✓ Cute ✓ Cuddly ✓ Psychotic! 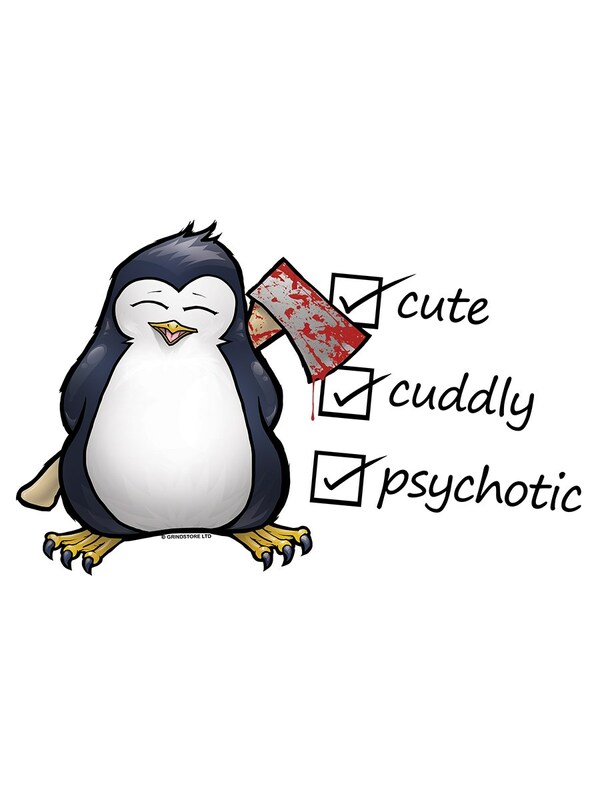 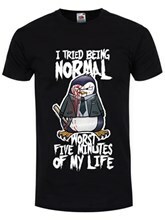 Psycho Penguin passes the test in all of these categories, that is to say, if you just overlook the blood splattered axe he is hiding behind his back! 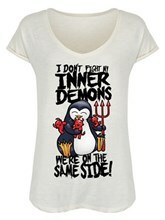 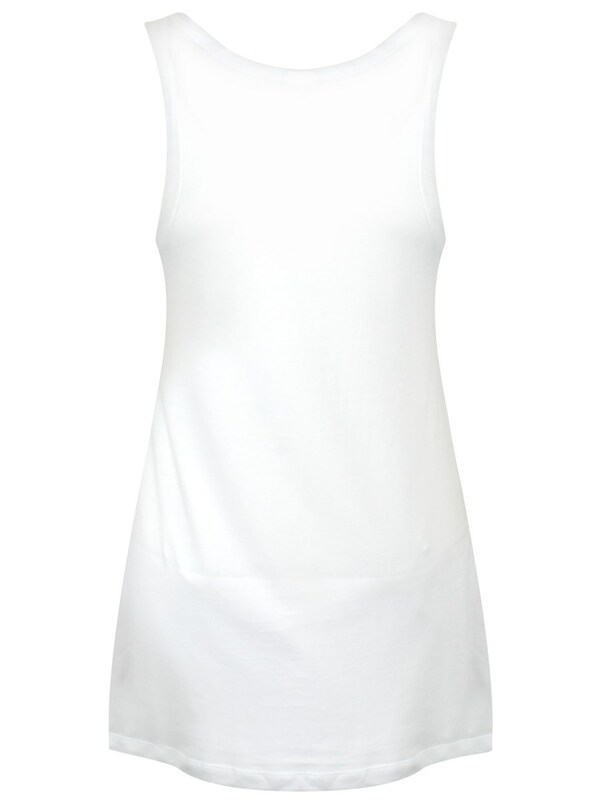 Set on a white floaty vest this design is great for any alternative look!